Outsourcing is important to businesses, especially when there is a need to grow, reduce costs, and solve issues that in-house teams don’t have the capacity to handle. But sometimes it can bring challenges like cultural and time-zone differences that can cause miscommunication and delays, especially when companies chose the offshoring model. Dealing with the inefficiencies of outsourcing was a challenge that we at Strypes took and transformed into our model called Nearsurance. It combines the benefits of nearshoring with easy communication and quality assurance by being present at the client’s location. The word outsourcing is often associated with low costs and while this is true, Nearsurance is mostly focused on increasing productivity, delivering the highest quality of work, and pushing the boundaries of IT. Thanks to the Nearsurance model, we keep receiving positive feedback from our customers who are also our long-term partners. This is why we put together a white paper that describes how this model works in detail, supported with a few use cases that show how this has worked for our clients. Do you have an issue you can’t solve in-house? If we are in charge, the issue will be solved – this is our promise. When doing the work, we take full ownership so that the client only sees the solution. We don’t need to be micromanaged. In fact, we often get on board and go as far as taking ownership of the client’s communication with their own suppliers. The majority of our talent pool is based in Bulgaria while as a company we maintain a European mindset, with teams in the Netherlands and Germany. As a member of the European Union, Bulgaria is under the same legislation as the countries where our partners are located. Bulgaria is a fast-innovating country that hosts an abundance of IT talent. Perhaps there’s something in the genes or the fact that the inventor of the first computer originated from here. The country’s IT industry is getting stronger while the growing economy is inviting innovation at a fast pace. Here, we built the foundation and over the past ten years, we’ve grown our talent pool to 180+ professionals. With Nearsurance, we provide this expertise to our clients from all over the world. Do you want to know more about what Nearsurance can do for your business? 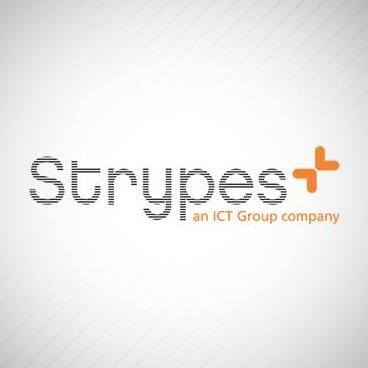 At Strypes, we use the SDaaS approach to help our clients with the overall project planning, execution, and delivery. Our main focus is on understanding the problem and delivering the solution while taking full ownership of the project.